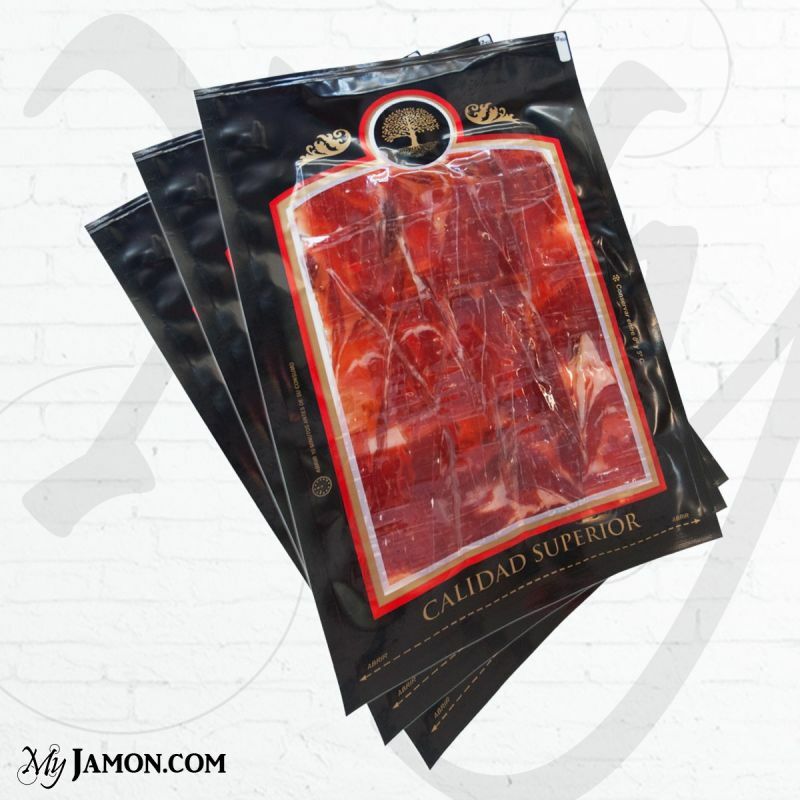 Myjamon presents Pata Negra cebo ham hand cut by a maestro Cortador and vacuum-packed in convenient bags of 100 gr. each. 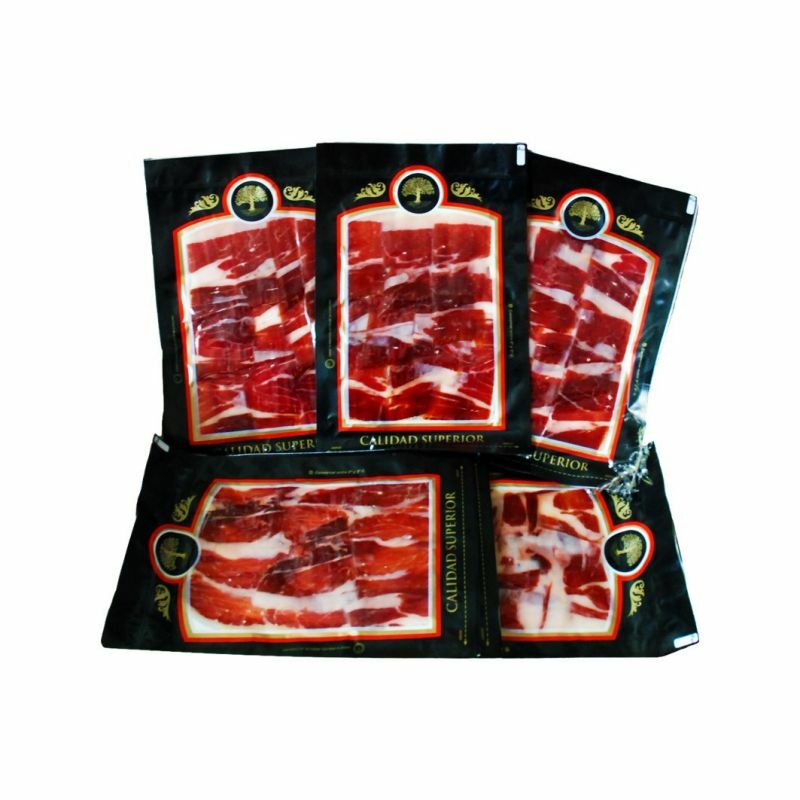 At time of order, we will choose our best ham with a weight of between 7 and 7.5 kg then move on to the cut. 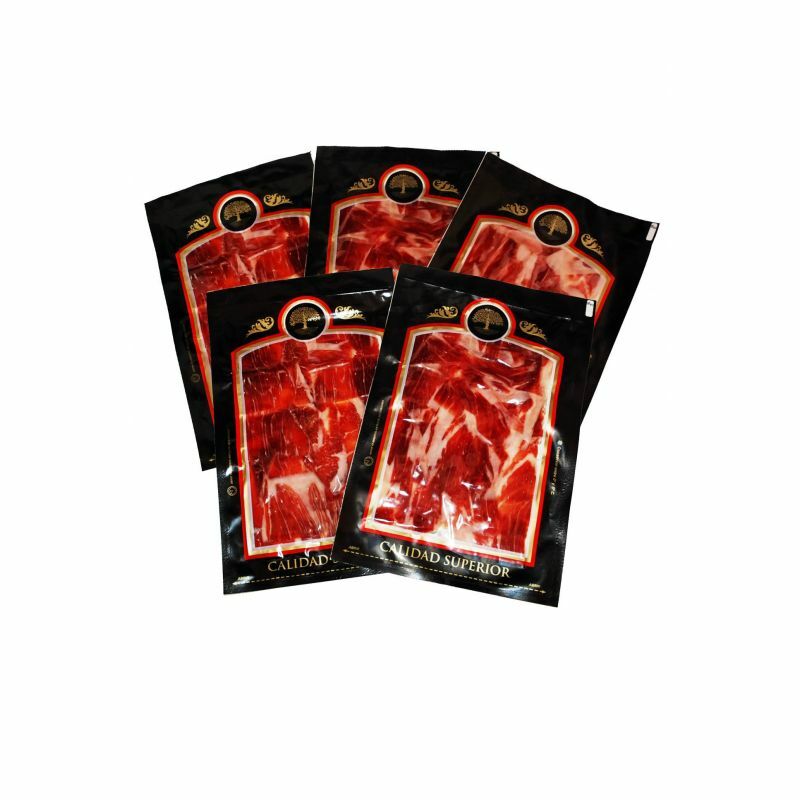 One of the benefits of the vacuum packed ham is that it does not require an excessive refrigeration (10 °) and if properly stored it can be used for a period of about 60 - 90 days. 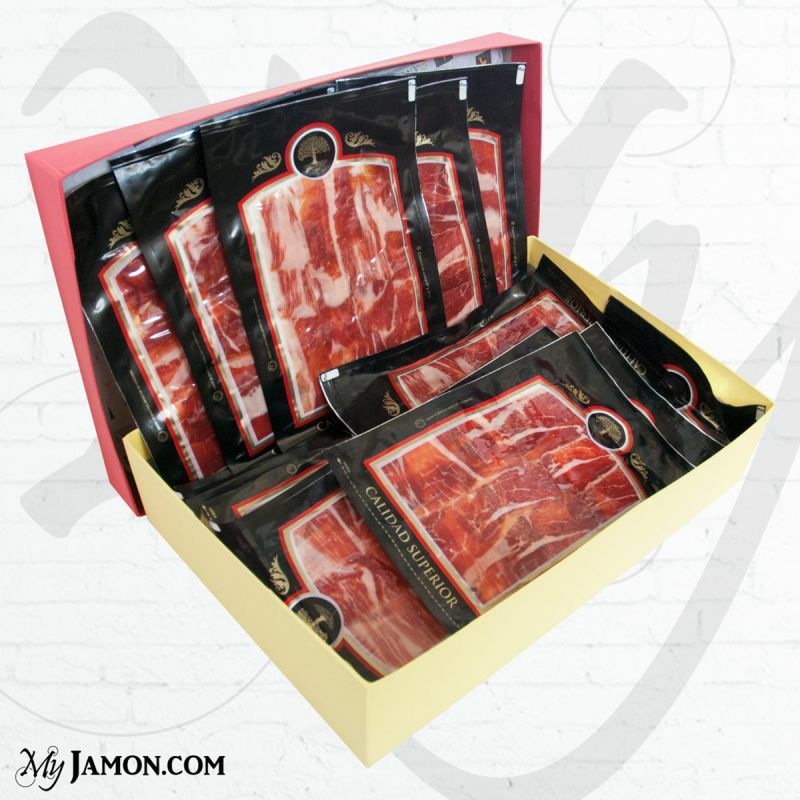 Bring home a true Pata Negra cebo ham with more than 24 months of seasoning!